Model-specific adapter for mounting aftermarket seats. Bolt-in, no drilling required and fully reversible. Passenger side. 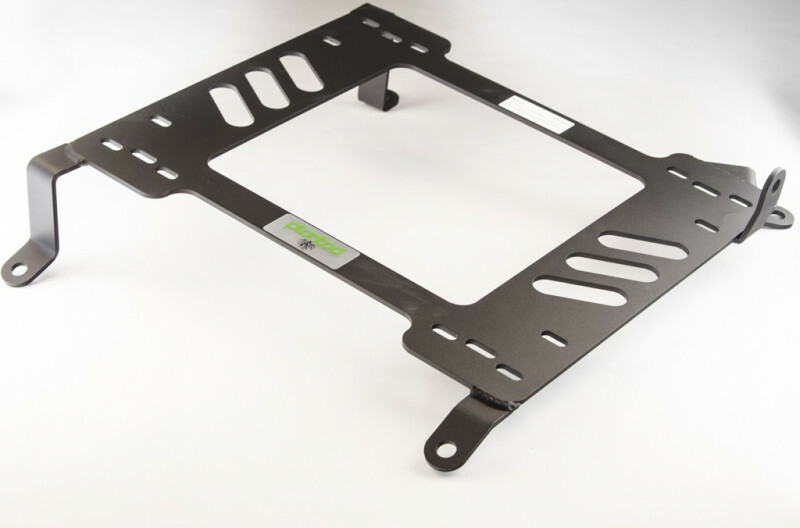 The Planted Seat Bracket is a vehicle specific bracket used as an adapter between the floor of the vehicle and an aftermarket seat and it's accessories. 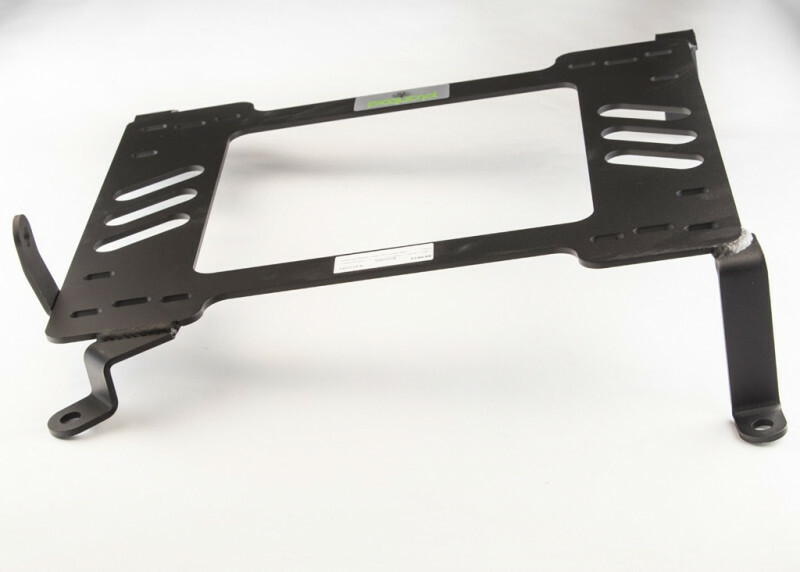 Because the floor of each vehicle varies and typically is not flat, a vehicle specific seat bracket is required for installing an aftermarket seat. Planted create each seat bracket using the floor of the vehicle as a reference. They bring each vehicle into their development center so they can create the best fitting, bolt-in, universal seat bracket possible.  This allows aftermarket seats not only to be bolt-in without drilling, but also fully reversible back to stock if necessary. 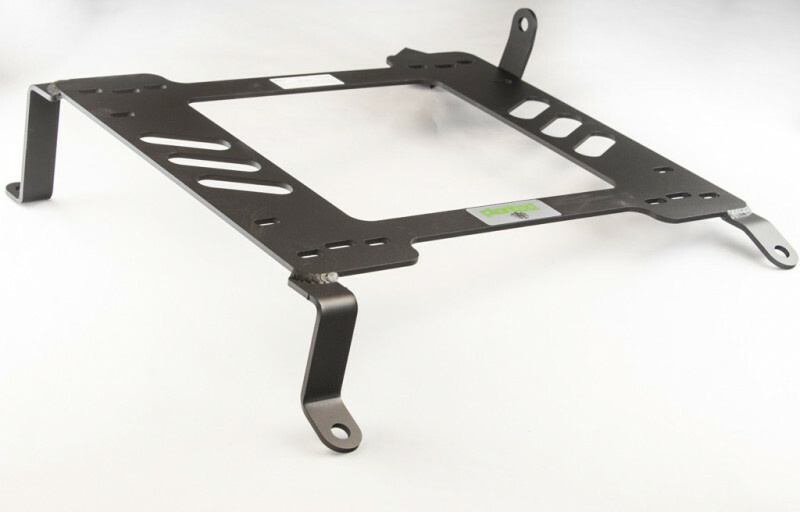 Planted Seat Brackets are laser cut from 3/16 inch thick steel and hand welded to ensure weld penetration for superior strength. Each bracket is pre-slotted with hole patterns to accept sliders from most major seat manufacturers. There is extra space on the bracket for drilling your own hole pattern if using a slider with a less common hole pattern, or direct mounting a seat or side mount when eliminating sliders is preferred. They are finished with a black powder coat. Seats come in many different shapes and sizes so not all seats will fit in all vehicles. It is up to the end user to determine if the seat will fit prior to ordering Planted adapter brackets and other components.